Relocating to a new place is exciting and filled with opportunities. If you are thinking about relocating to Canton, Michigian, here are a few things that will help make your move run more smoothly, like recommendations for professional moving companies, notable attractions, moving tips and financial lending options available in Canton, Michigan. We know it helps to have options for local professional moving services to assist you with a fresh transition into the Canton, Michigan area. Some options in the area include EZ Moving and Storage, Men on the Move, and Big Guy for Hire. Each provides free estimates, choices between truck, van or mobile container services, storage options and more! What’s great is that each company has a location in Canton, Michigan and serves the greater southeast Michigan area as well. Once you have arrived, Canton offers an array of great choices for attractions, shopping and dining. 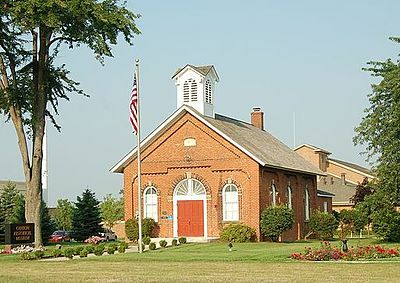 One location of note is the Canton Historical Museum; housed in a preserved one room schoolhouse, the museum aims to preserve the city’s timeline from “the Sweet Corn capital of Michigan” to the suburban oasis it is today. For more ideas on Canton outings, visit our Things to Do in Canton resource page. The city boasts a wide array of dining options from affordable, casual fare to more up-scale, expensive selections. Are your taste buds in the mood for international cuisine? Well Canton, Michigan's dining scene won't disappoint. With options ranging from Indian, Chinese, Japanese, Thai and Mediterranean cuisine, the city is sure to offer something to satisfy every palate! To see our favorite restaurants around town, visit our list of Best Restaurants in Canton, Michigan. Tip 1: Start researching moving companies at least 8 weeks prior to moving. This affords you time to receive and compare estimates from reputable Canton area movers and can ensure you have the best option for your budget. Tip 2: Plan a garage sale. This helps clear some of the clutter and lightens the moving load. Try to sell some of your unwanted items for funds to decorate your new place! Tip 3: Label everything! Be sure to double check that all your items have been properly packed, marked, and loaded. You don’t want to leave anything important behind. To help prepare for your move, here is a great moving checklist to help you stay organized! Need assistance to secure your next dream home in Canton, Michigan? We can help by connecting you with one of our local preferred lenders. Each of our preferred lenders is a full-service mortgage lender, offering expertise in every area of mortgage lending. Whether you are buying an existing home or looking to secure new construction lending, they can help you every step of the way. They have access to a full range of mortgage sources and are dedicated to finding the right loan, with the best rates, terms, and costs to meet your unique needs. They are prepared to assist you in making your new home accessible with affordable options suitable to your budget and financial goals.